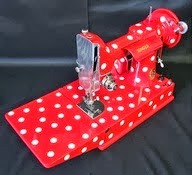 Val's Quilting Studio : Let the Cutting Begin! Everyone's been cutting and posting their eye spy pictures on flickr for us all to see, I thought I'd better get busy cutting myself. So after an inventory of my own stash, since I take two spots in the the swap, a trip to JoAnnes was needed. I scored a bunch of eye-spy fabric in their 70% clearance section and splurged on some novelty prints I couldn't resist. I spent about an hour and half yesterday afternoon watching a movie and cutting and will finish today. Really, what better way to collect 200/400 different Eye-Spy fabrics than by swapping with fellow blogger friends. 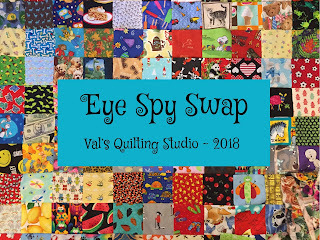 Click HERE to read about our Eye Spy Swap and perhaps think about joining us. I'll end with the most recent text from our daughter of our newest grand-guy using his quilt. He's six months old already! Grands sure seem to grow even faster than our own kids did. 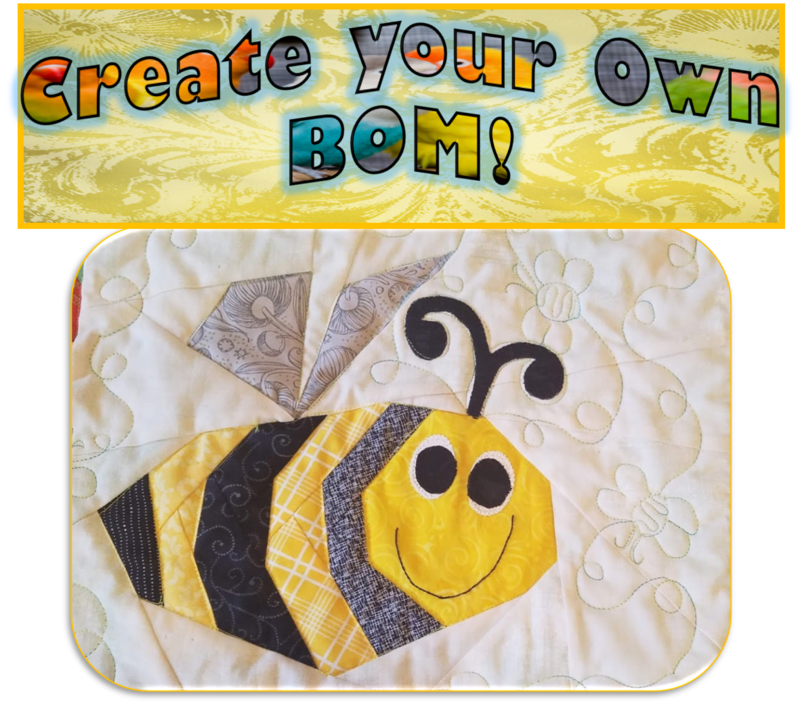 This week's theme: Quilt Storage. Click HERE to share yours and check out some neat cabinets used. Cute picture of your grandson. Hard to believe he is 6 months old already! Look at him sitting up like a big boy. My eye spy fabrics are all cut and now that my husband has returned from his trip I should be able to get them in the mail today or tomorrow. I have 1 set cut out and 1/2 of my second set. Need to go buy a few more fabrics. 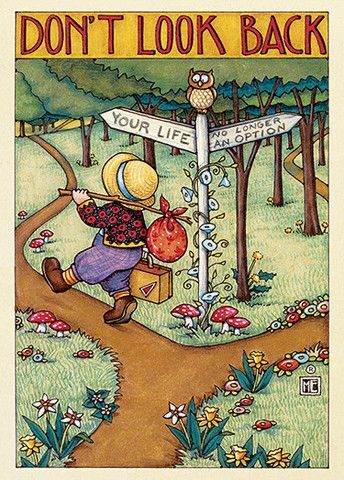 Have a delightful week and happy quilting. 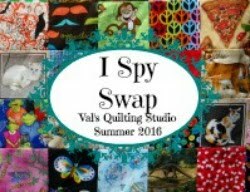 A swap sounds like fun, but I just gave most of my children's fabrics away! Otherwise, I'd join in. You got some really cute fabrics, and on clearance too! How sweet you Jack looks sitting on his eye spy quilt. How fun to have oodles of little squares filling your world. I spy some super cute fabrics in there, Val! Mine are all packaged up and ready to go in the mail when DH flies to Dallas next week. Hopefully he won't get stopped in Customs and accused of smuggling novelty fabrics!! I'm going to finish cutting my blocks tomorrow. I cut enough to take the photo for flickr and will finish cutting tomkrrow at our weekly quilt get together. Will mail them out Friday. They do grow up so quickly don't they? Looks like you are on track to get some fun squares for the next I spy quilt. He clearly loves his quilt! Such a cutie! You picked out some great fabrics! I found I had a lot of fun cutting this time.